The funny thing is our pastor called us not too long after he sent the link and commented on the fact that all the people involved in the conference were white–he being white himself but a sincere advocate for diversity in the church. So this is interesting. The conference is presented by an organization that supports worship leaders, in general. So how is it that their leaders, board, panelists, and performers do not mirror the colorful culture in the kingdom of God? Who could an aspiring African American, gospel-sounding worship leader relate to in this group? Maybe it’s not supposed to be that kind of conference. Maybe they didn’t think about how to make it diverse. Maybe to them worship music is only that contemporary Christian sound. You must understand that just because we are people of color, we are not automatically diverse. Diversity is a choice–a deliberate choice, actually. There are many monotone worship teams and churches around. Yes, we used “monotone” to refer to skin tone and not “a single, unvaried key or pitch.” Monotone is easy and comfortable for most people, but it isn’t OK in the body of Christ. It is especially not OK when an organization formed out of the body of Christ comes together to present and resource specifically gifted brothers and sisters in Christ and only gives voice to one people group and one style. Perhaps it would be different if it was a conference for worship leaders who spoke and sang in Spanish or Mandarin. But a general American worship leaders conference for English-speaking people should represent a cross section of the American church. An American worship conference should bring together various cultures, styles, and ethnicities to one place to fortify the diversity of the kingdom. This is perhaps a lot more challenging than it sounds, although we absolutely feel that it is worth the trouble and way past time for this to happen. We also humbly recognize that we’ve never organized a worship conference, so we can really only pose this as a question for discussion. Can William McDowell, Ricardo Sanchez, Eddie James, Freddy Rodriguez, Stephen Hurd, Danillo Montero, and Micah Stampley be panelists or guest artists on the same stage as New Life Worship, Chris Tomlin, and David Crowder? Then what about the ladies of worship: Kari Jobe, Mandisa, Kim Walker, and Misty Edwards? Some of these, we realize, maybe too busy for a worship conference, but you get the idea of the kind of cross-section we are saying could really benefit the whole body of Christ and cause us all to embrace diversity and learn how to worship freely regardless of what the worship leader looks like or the style of music. Having a diverse panel and artist list would also be an encouragement to a new up and comer who needs solid role models who he or she can look up to and gain wisdom from regarding his or her specific passion, style, and gifting. We are diverse because of the beautiful diversity we choose to surround ourselves with. At our church, our worship team consists of Caucasians, Latinos, and African Americans. Our church is made up of Latinos, West Indians, Caucasians, and African Americans. We make every effort to choose music that represents all of that. We love it, and we want more! 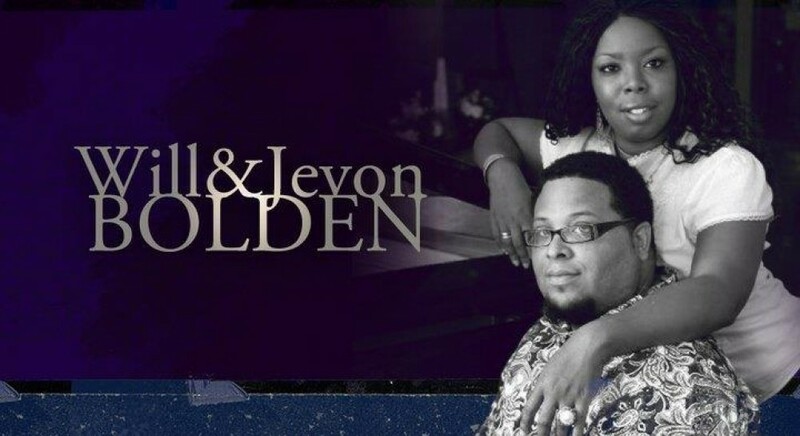 The band for Will and Jevon consists of Haitian Americans, Latinos, Caucasians, and African Americans. We have been asking a couple of our very gifted Asian American friends to join us. The timing just hasn’t been right, but we know that’s coming soon. The whole motivation behind our WorshipATIC Summer Tour is diversity of culture and style. Three bands–one Christian contemporary, one Christian Hip Hop, and one contemporary gospel–coming together to show that it’s all right to worship God in the way that He created you. You don’t have to fit the ‘”mold” to be considered a true worshiper. We are off our soap box for now. Sunday does not have to continue to be the most segregated day in America. It can start with the powers that be or maybe just a few voices rising up to say “monotone” is not OK. Our organizations and planning committees can make deliberate plans to bring together people who don’t all look the same in general forums like worship conferences. Then people who aren’t exposed to certain styles and cultures will have a chance to sample and enjoy the beautiful mosaic of kingdom culture. As we ran inventory, some of it was a bit discouraging, but God kept saying, “My strength is made perfect in your weakness. Go on; move forward. Exercise your faith in Me. It is for My glory.” We believe He led us this way so that we will not be able to take credit for the outcome once this summer ends. It will be all Him. So we were resolved to think that what we had in our hands was a good enough start. So the next thing was should we go at it alone or invite some local artists to join us? Again, we say this was all by faith because with the health and life issues we’ve been challenged with over the last 18-24 months, we just weren’t sure who’d want to share the stage with us. We had essentially “fallen off the map”! We prayed about it and God led us to ask Kendall Brooke, a contemporary Christian singer-songwriter, and Deraj, a Christian hip-hop artist. What a combination, right? But look at what God was trying to create: Contemporary Gospel, CCM, and Hip Hop all under one anointed mission–to touch Central Florida with the diverse culture and sounds of heaven. Don’t you think God is blessed by all styles of music arranged to highlight the magnitude of who He is? And you’ve got to hear Kendall Brooke and Deraj. These are special and unique offerings of pure worship directed straight to the heart of God. Local artists need your support. Yes, there’s Hillsong, Israel Houghton, and others, but Central Florida is rich with gifted bands, singers, and musicians. We don’t have to go far to find excellent worship that reaches into heaven. And that’s a beautiful thing. There can never be too many worshipers in the kingdom of God. Well, the summer is not over yet and we know that God is still completing what He has begun. This is all for Him and all for His glory so that people can be drawn into an intimate relationship with Him. We hope to see you at our next night of worship.